If you’re searching for a name with a certain cowboy cool, but recognize that Buck and Blade are best reserved for the livestock, here’s one to consider. Thanks to Another for suggesting today’s Name of the Day: Garrett. Back in the Wild West, Pat Garrett was squarely on the side of law and order. Appointed by the New Mexico governor to restore the peace, Garrett tracked down – and shot – the infamous Billy the Kid. While his life didn’t end happily, he’s been immortalized in countless Hollywood movies about the Old West. Doubtless this is why Garrett conjures up images of tumbleweeds, Stetsons and six-shooters. Garrett’s deeper history is tangled up with familiar monikers Gerald and Gerard, and his use as given name traces back to at least the 15th century. He’s appeared in the US Top 1000 every year since the rankings were established in 1880. So while Garrett is sometimes dismissed as nouveau, he is every bit as legitimate a choice as many monikers currently in use. Because the name emerged as a variation on Gerard and Gerald, he shares his meaning with them: the Germanic element ger, or spear and either hart, for hardy, strong or waltan, for ruler. This leads to hyper-masculine attributed meanings like “strength of the spear.” It’s etymologically correct, but feels less than relevant in 2008. 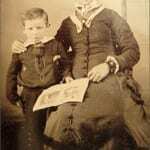 Garrett was originally heard most often as a surname for descendants of a Gerald or a Gerard, but has been used as a given name steadily from at least the 19th century onwards. The next time you spot a traffic light, you can thank Garrett Augustus Morgan, Sr. – the early 20th century inventor of the Morgan Traffic Signal. Not only was he a talented tinkerer and extremely successful entrepreneur, he was an engaged leader in the African American community. There’s also Garrett Weber-Gale, an Olympic gold medalist in swimming at the Beijing Games; Garrett Morris, comedian and original cast member of Saturday Night Live and Friday Night Lights actor Garrett Hedlund, as well as plenty of notable people wearing Garrett as a surname. But should you greenlight Garrett as a name for your son? While Garrett has been in steady use in the US, he may be falling from favor. The name peaked at #74 in 2000 and as of last year had fallen to #162. (Today, the fast-rising name with all the cowboy cachet appears to be Wyatt.) Still, Garrett never reached the chart-topping positions of Jason or Joshua, and doesn’t feel worn out, even if he’s on the decline. Garrett offers parents hoping to honor an ancestral Gerard or Gerald an easy, current option; he retains a certain amount of Old West flair and serves as a legitimate African American hero name. We quite like his spirit, and think he would suit parents seeking something less often heard, but not at all unusual. Laney, Eamon will be NotD on September 26 – thanks for the suggestion! As it happens, Garrett is the name of one of my favorite cousins. (He’s 25 – or maybe 26? Time flies!) When his mother chose the name, there were many raised eyebrows. But it suits him, and manages to be masculine and current without being too hard-edged or plain. Emmy Jo, I love Gareth, too, but my husband has banned it from consideration because of The Office. Garrett’s a good, solid choice. It’s modern without being trendy, traditional without being boring, old without being musty, lots of good things to say about Garrett. I don’t know that it’s necessarily an inspired choice, but it’s the sort of name I would expect a really excellent accountant to name her son. I know a family with two sons named Garrett and Wyatt. I like Garrett okay, but I prefer the Gareth of Arthurian legend. I like Garrett. I was actually considering it for a son, but I knew a Garrett in HS and other students called him Garrett the carrot, or carrot head; He didn’t even have red hair either. Kids are really cruel sometimes. Aside from that, it’s a great name. I will still keep my mind open to it. How about Eamon for a NoTD? I am Irish so I’ve been looking into Irish names alot and this one always interested me. According to wikipedia, it’s an equivalent of the English Edmund. It means “protector” which is a really nice meaning to me. Eamon is probably gonna be my first son’s name if I can get my boyfriend to agree with it. He likes unusual names like I do so I hope he’ll go for it. lol He is still warming up to the idea of naming our girls Athena or Xanthe. His last name is Martin so I’m still not sure they go well with it as they do with mine. If not, then we have a huge notebook full of names we could look at. Like Garrett, hate Gary. Love how you threw an ‘A Little Princess’ reference in. I don’t really like Garrett. 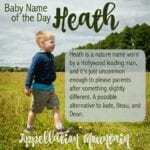 It’s an interesting name, but I’m not fond of names ending in -ett (except for Emmett, which I really love!). Despite the fact that it’s falling in popularity now, it still sounds really trendy to me. I do like Gary though; like Lola said, it has a really cute retro feel to it. I love Gerald too, so I would go for those two before Garrett. Garrett’s pretty cool, if you let him roll around in your head fora bit. I’m not much for surnames in first place, but must admit Garrett’s really neat. […] word for rock and the origin of 1960s favorite Craig. […] Merit – A Latin word meaning deserving, Merit has a lot going for him. Spelled Merritt he’s a separate surname that actually had a steady presence in US Top 1000 until around 1950.